← Would you let your daughter enter a pageant? In which I critique my husband’s personality. 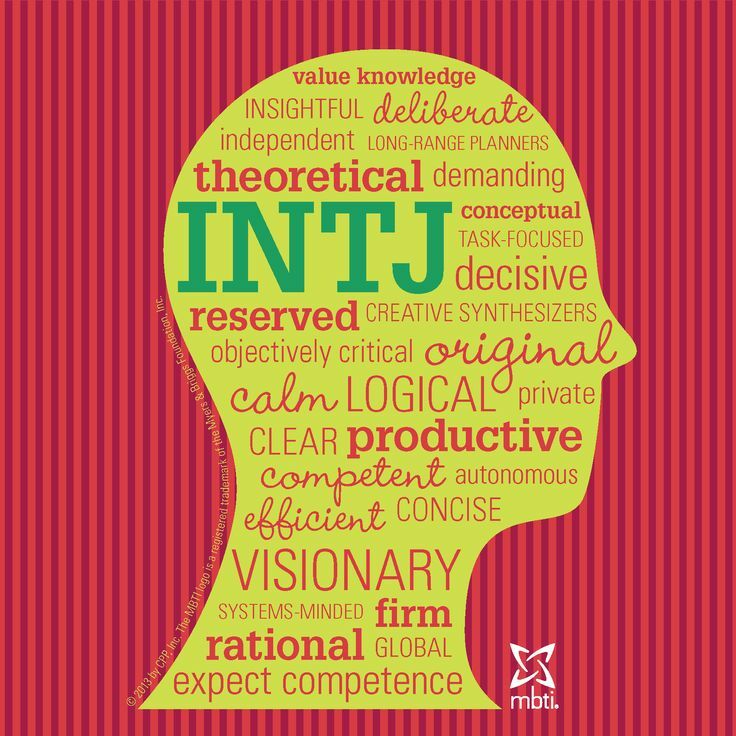 INTJ is one of the two rarest of the MB personality types, which makes me suspicious whenever someone calls himself INTJ. Thanks for picking me, hon! 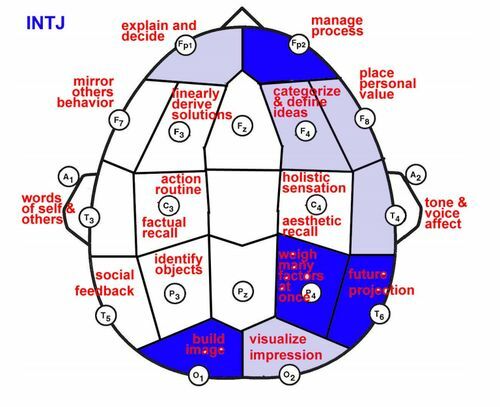 Dark blue represents areas of the INTJ brain that are most active (ie need little stimuli before use). Light purple represents areas of the brain that needs a lot of stimuli before use. White areas represent areas where little activity goes on until a LOT of stimuli is present. We both got a kick out of this one. I have no idea how scientific this is, but it’s fairly accurate as far as I can tell. Except that Pat’s “factual recall” is good. Aesthetic recall . . . yeah, no. Fortunately, I’m never on the receiving end of the following trait (because of #2, above), nor is anyone in our immediate family. The rest of the world, be forewarned. As an empathetic people-pleaser, I have trouble with this one. But I’m learning the value of not giving a care what people think. Therefore, if we’re going to do something social, I usually need to plan it (even though I’m on the introverted side, too). This isn’t really true, but kinda/ sorta true. And funny. 7. Finally, fortunately, Pat has found his career niche in software development and data science. No surprise there! He loves creating and mastering complex systems. I found this chart recently. See the list for INTJs? Whaddya know? 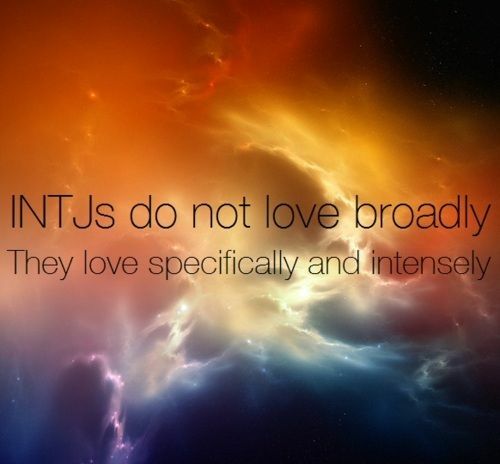 Is there an INTJ in your life? Or has Myers Briggs helped you understand a significant other? And did you or he/she choose a career that matches your type according to the chart above? Do tell.
. . . linking up with our favorite INTP, Jen, for 7 Quick Takes. I usually get INTJ on the MBTI tests (well, quizzes), too. Although I’m pretty sure I’m inching closer to INFJ as I mellow out in my adulthood. Maybe it’s due to being around kids under the age of reason all day, who knows? 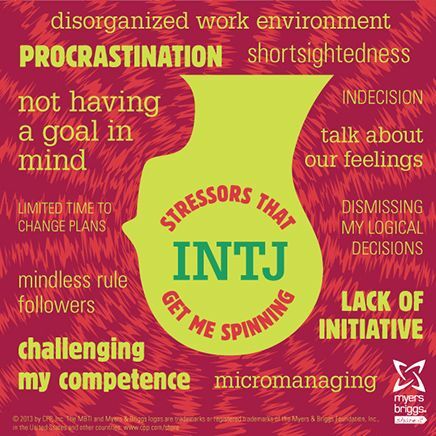 The word map of INTJ stressors is the best! I get annoyed just reading it! Now that I think about it, I might have been ISTJ when I was younger. I think I’ve mellowed into an ISFJ. Maybe motherhood forces you (hopefully!) to be more in tune with people’s feelings? While he’s only done the I’m pretty sure my husband is an ISTJ. He’s a Catholic military lawyer. The pinnacle of duty, rules, and living by the book! The ultimate ISTJ. I’ve gotten INTP on little quizzes, but I am skeptical because none of the descriptions really sound like me, I don’t think. So funny! I have been going over them mbti a lot over the past 24 hrs. Literally I have been going through and analyzing all of the significant relations in my life today through its lens. With the exception of one fb quiz (which gave a result of INTJ) I always come out INFJ, which is the rarest 😉 just learned that last night. The description seems to fit really well. Hubby is a ENFJ (he too took the paid test for work) which is also on the rare side especially with men. I think that is partially what got him hired, that he is a perceptive, organized, extrovert, so he can handle the client interactions well. Reading about it last night I laughed when I read that one of that types favorite hobbies is organizing social functions. 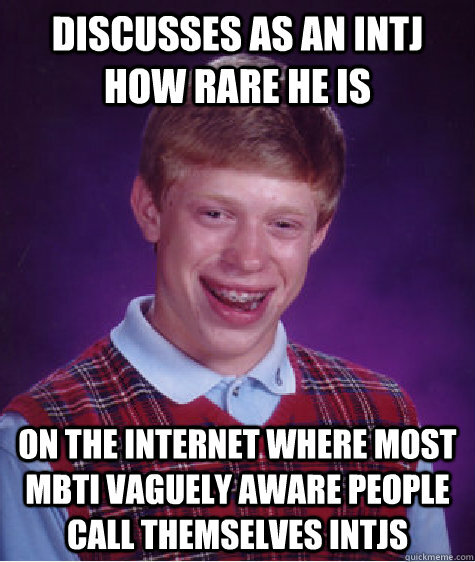 That fits him to a T. He totally doesn’t like MBTI because he feels like it puts people in boxes. I like it cause it helps me understand others better, and appreciate how fundamentally different others perspectives might be. Also I prob missed it, but what type are you? I can see how ENFJ fits Nathan! Didn’t realize he and I were so close. Analysis paralysis! 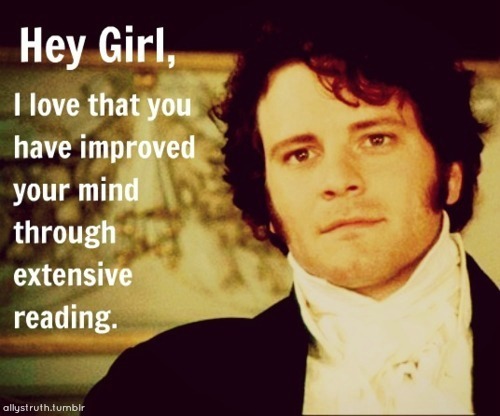 I hear you! . . . I would think that the “T” / “F” element would be more likely to change when you notice people’s feelings. But I’m no expert. The “Intuition” versus ” Sensing” is the component that I understand the least. My husband had to take the test in seminary, and he is ENTP, heavy on the P. He would probably drive your husband crazy and vice versa, though his best friend is a super J. Ladies, when you marry an ENTP you sign up for a crazy, never dull life full of projects and passion and late night house parties. Sounds exciting! :-). Yeah that’s pretty much the opposite of life with my husband. They might get along socially, though they probably shouldn’t work together! Laura, is there a quiz or abbreviated test somewhere online that you would recommend for getting a sense of what a person is? I have no idea. Also, do you take the test for your present self, for how you actually act, or do you take it for what your inclinations are? I just remember mom always stressing that you had to take the temperament test by your inclinations and not by what you know you should do in that situation. I don’t know. I always get different results on those quizzes. I cant not over think the questions. 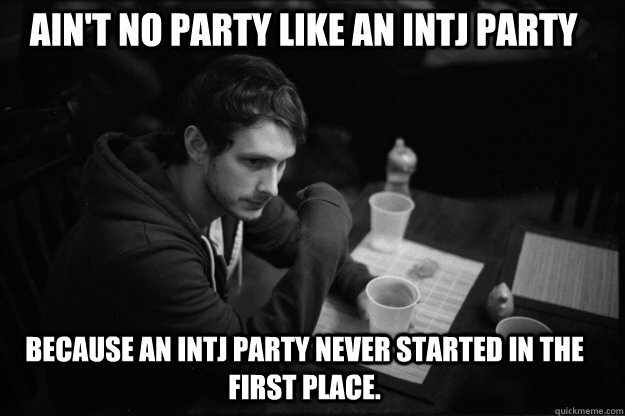 One of the more popular ones gave me INTJ both times I took it, with a few months in between. 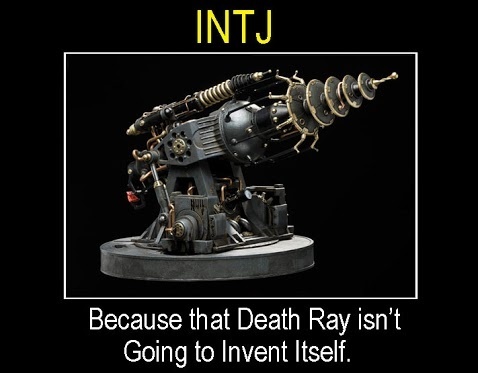 I know I’m not INTJ. .. I really recommend the book _Please Understand Me_. It has a quiz and a good description of each type and it explains in depth what each of the four letters means. It’s at my library so I’m sure you could find it at a library near you. Also–maybe more to the point–after taking several of the quizzes and getting different results, I got ISFJ. I’m always “I” and always “J” but the middle two letters vary. But among the choices of INTJ, INFJ, ISTJ, and ISFJ, the description of “ISFJ” seemed most accurate. 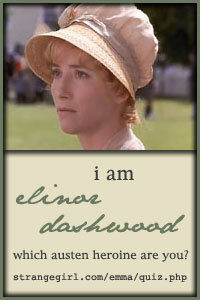 So that’s what I think I am. I think if you’ve read a lot about it, taking an MBTI test yet another time doesn’t help, but thinking over the descriptions does. It’s not like a blood test or shoe size, where you can be scientifically sure about the results. I took the real test with my grad program (student affairs LOVES MBTI, so we are basically required to know ours 😉 ), and I got INF(sub T)J, so I was pretty close with F/T, but slightly stronger F. Which means that I’m the MOST unusual and my back up is the SECOND most unusual. For some reason, I think that means I win. Also, INTJ females are especially rare. I think that makes it an even bigger win. Just to let you know, I emailed a quickie version of the MBTI to my siblings and husband and suggested they take it, and am currently embroiled in WWIII with certain members (all of them male–that narrows it down, doesn’t it?) as to whether or not it is worthwhile. They think, like Katherine S.’s husband, that it puts unique individuals in meaningless boxes, and that it does no practical good. 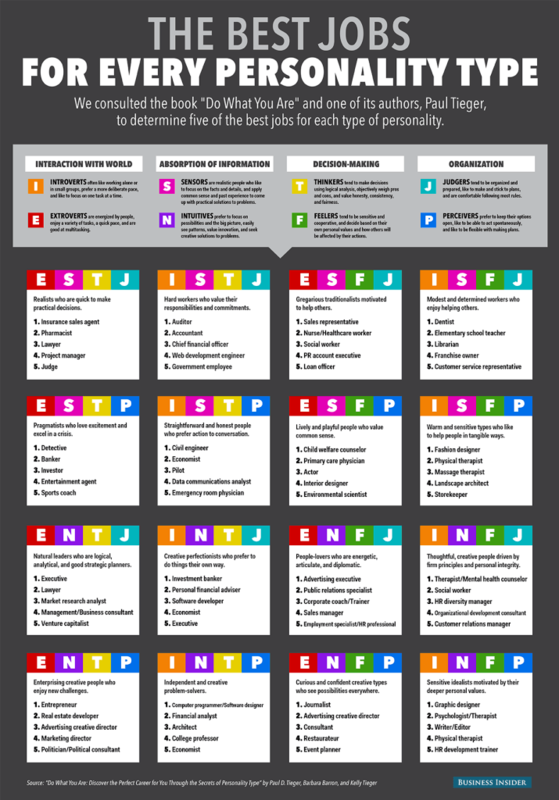 MBTI is a useful tool, but it’s not supposed to be prescriptive. When I took the official test the first time, the facilitator explained your type as your neighborhood versus your house. Your house could be that weird one in the neighborhood that doesn’t quite fit, or it could blend in with all the others. I started as ISFJ and later became ESFJ, but both times I was right on the line between E and I. Types can and do change over time. That I can live with; the frustrating part is that I think like a J but live like a P. I drive myself crazy! Me too! I’m a J but live like a P! I know this post is a little old now, but I came it across it while researching a series of books I’m working on. I thought you might be interested in them. I hope to finish the first this spring. It’s called A Spiritual Growth Plan for Your Choleric Child. I am one of those who doesn’t fit any of the Myers-Briggs types. It seems to me that it is describing personality rather than temperament, which is just one part of personality. I have found that the four classic temperament descriptions do work, if you take into account that many people are mixes of two temperaments. I am about 55% phlegmatic and 45% melancholic. And each person with a mixed temperament will be a bit different from the others. The four classic temperaments are based in heredity, in the way we react to stimuli. But our environment can sometimes cause us to act like someone of a different temperament. Anyway, I am finding it very helpful for my spiritual life and for helping my kids to overcome their chief faults. Thanks Connie! I’ll watch out for your book. I’m choleric (I think), and my eldest is choleric/sanguine, so I’m sure there’s a lot for us to learn from it!